CCS64 is a Commodore 64 Emulator for PC and also in the future other platforms. It was developed by me, Per Håkan Sundell, as my Master Thesis at my university in 1995 and have been expanded a lot since then. My personal interest in the C64 has been very intensive since 1983 when I was spending nearly all my time with it, and I was deeply involved in the so called "Scene". When I later in 1987 bought my Amiga 500, I missed the old good times I had with my C64 and since then I have tried my very best to make all the old programs to work on my new machines. 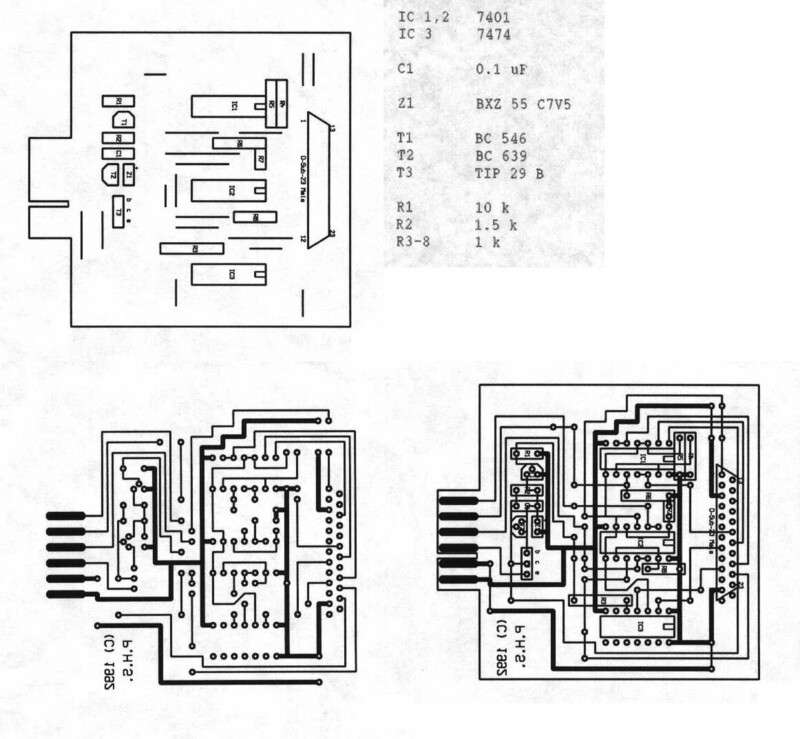 One of my first attempts was to resurrect the old C64 music, the famous SID chip. In 1990 I and Ron Birk released a demo called "100 most remembered C64 tunes" which was very popular, and in 1991 we released the very first tool for Amiga called "PlaySID" which later inspired a lot of similar programs on other platforms. CCS64 is shareware. This means that the program is free to use and to copy, but if you like it and use it regularly I would appreciate that you would register the program. The reason for this is that I have spent countless of hours of making and maintaining CCS64, and without some contribution from you, it would be completely impossible for me to continue with developing it, besides my efforts to make my living and being with my family. Besides working full-time as associate professor with research and teaching students in programming, as a side-business I have also a small company (Parallel Scalable Solutions) offering practical implementations based on my research results. Other benefits with registering, except from making me very happy is that there probably will be (and already are) special features in the program that are only for registered users. And while considering implementing new ideas and improvements, the suggestions that I get from registered users are of course considered at highest priority. CCS64 is a program that runs on your PC that turns your computer into an old Commodore 64 computer. This means that the program simulates, or rather emulates the old computer, enabling you to run most of the old software you had for that old machine, running it just like it would in the past. Of course there are some small differences compared to the real thing, but my goal has been to minimize the differences as much as it is possible. For more information, please read the full Documentation. For easy starting up instructions please read this file by Stuart Toomer! He also manages a very good resource called the CCS64 Knowledge Base . It can also be quite useful to search for your questions and possible answers in the new forum or the archived wwwboard. About the Raw-Tape files (.TAP), it is possible to convert the original game tapes by using special programs together with special adapter or just using your soundcard together with an ordinary cassette recorder. I myself use my Amiga computer to convert tapes, and for this I have built a Special Adapter in hardware that connects like an ordinary disk-drive to the Amiga and at the other side it has a connection to the Commodore C2N tape station. I have written special programs for this adapter and Amiga in assembler, OriginalTape.ASM, TurboTape64.ASM and Vic20Load.ASM . Note: the files available for download are in the zip-archive file format, that need to be unpacked in order to be utilized. A number of suitable programs are available for this purpose, for example PicoZIP or WinZip. Advantages over previous versions: Multiplay over Internet, windowed mode, more screen resolutions, increased compatibility, more Windows friendly, integrated HardSID support. Note: In order to be able to run CCS64 V3.0 you also need to make sure that DirectX V9.0 or newer is installed on your computer. DirectX is a free package from Microsoft and can be DOWNLOADED HERE. Advantages over previous versions: Increased compatibility, improved menu system, Windows support. www.commodorebook.com - A new book about Commodore. www.c64audio.com - A c64 music website. www.c64.com - A basic resource for the C64. sta.c64.org - The Star Commander. Tools for extracting the information on the 1541 5 1/4 inch floppy disks and much more. www.gamebase64.com - A nice front-end for CCS64. www.lemon64.com - A C64 website. www.c64games.de - A German C64 Games site from where you also can buy a C64 Joystick adapter. http://www.the-commodore-zone.com/ - A C64 emulation website. And of course to ALL of my registered users and other friends!! !